Giovanna Lucherini, Director of Convention Bureau Napoli, at IBTM World in Barcelona. IBTM World, the leading global event for the meeting, incentive, events and business travel industry, takes place in Barcelona from Tuesday, November 28, until Thursday, November 30, 2017. 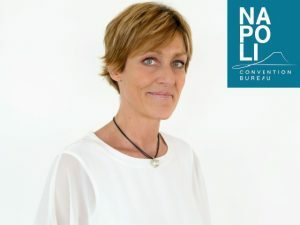 Giovanna Lucherini, Director of Naples’ Convention Bureau and past president of MPI Italia Chapter, will attend IBTM at MPI International‘s stand, in Fira de Barcelona’s Hall 3.